There has been a lot of Japanese movies making into the regular release schedules of our local cinemas recently, but nothing should get in the way of a good festival. Back for its 12th year, the Japanese Film Festival is back better than ever with a much updated lineup. This year's lineup seems to contain a good portion of movies that are released within 2014 and 2015, which would be a delight to any fan who is hot on the trails of the latest movies being released in Japan. Although, this means that these movies are too early to be given any seal of approvals from their award circuits, but audiences would get to be the judge of its own merits for once. Also, this year's festival mix of genres may come a little unusual for anyone who has been following it for years, with an evident absence of old favourites such as the samurai or lighthearted comedy, so we can't guarantee that all these movies are for everyone. That's why to help you know what you are getting into, here's our quick guide of the movies of JFF 2015! When a thrift ordinance is implemented, many commoners are forced to live impoverish lives. As a result, many women are abused by their husbands which lead to a skyrocketing divorce rate. The Goyo yado temple is a refuge where such women run to, away from their husbands, where they meditate to find another life while the temple arranges for their divorce, if they so wish. Nobujiro Nakamura is a doctor who wants to be a writer and finds himself in the temple after being knocked out. While helping these women through their hardships, he eventually falls for one of them. But who is it? Is it Jogo who is married to the man who takes no responsibility of his household, or the concubine Osin, or someone else entirely? "Kakekomi" is set during the Edo period of Japan when the implications of a divorce carry far more social weight and shame than it does today. Based on the novel by Hisashi Inoue, which is adapted and directed by Masata Harada (who also directed this year's much anticipated "Emperor in August"), this period drama looks at how divorces are traditionally done in Japan, with a few dark comedy serving as the undertone. Yo Oizumi, who will be a familiar face in this year's festival, plays the lead role of Nakamura. 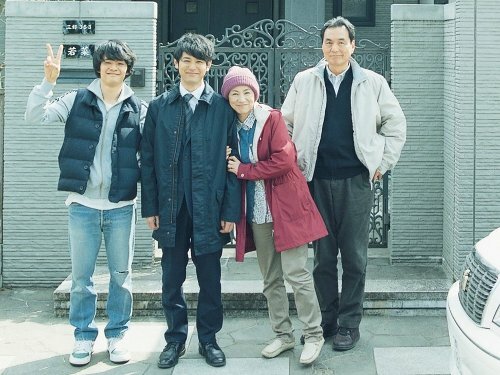 Based on the award-winning manga "Umimachi Diary" by Akimi Yoshida, "Our Little Sister" revolves around the Kouda sisters who live in the seaside town of Kamakura, in the house left by their late grandmother. When the sisters receive news of their father's death who left them 15 years after divorcing their mother, they hesitantly attend his funeral only to find he has left them a half-sister, Suzu. With no more relatives to turn to, the eldest sister, Sachi, invites Suzu to stay with them even when the sisters have no obligations to do so. After his Jury prize win at the 2013 Cannes Film Festival for "Like Father, Like Son" (which also screened at JFF 2014), director Hirokazu Kore-eda returns with his next feature that also went for competition at this year's Cannes for the Palm d'Or. 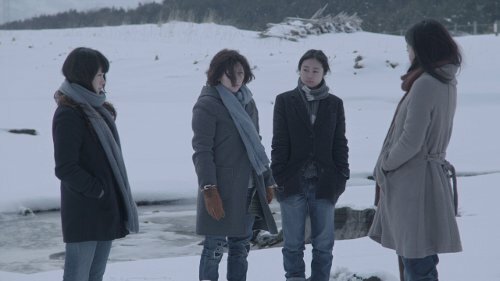 Although the subject of three and a half sisters dolling out their daily lives in a quiet seaside town may not be the most ideal to win any prize at Cannes, but Kore-eda is one director who knows how to capture warmth in his films and a cast with Haruka Ayase, Masami Nagasaw, Kaho (who also appears in "Kakekomi") and Suzu Hirose certainly helps. Wataru Honjo is a 48-year-old stuntman who wants to be an action star like his idol, Bruce Lee. However, with the limited appeal of action movies made in the Japanese industry, Wataru has been making a living as a sentai hero in his 25 year career. When rising young star Ryo Ichinose enters the scene, Wataru is disdainful of his arrogant attitude and unwillingness to go through the rigorous training and tough work to stay in the business. However, the pair slowly bond as Wataru is forced to train Ryo. When a big budget Hollywood movie comes to town and Ryo passes the audition, the main action star of the movie had decided to quit because of the dangerous climax fight. Is this Wataru's perfect chance to be the action star that he has always dreamed of? 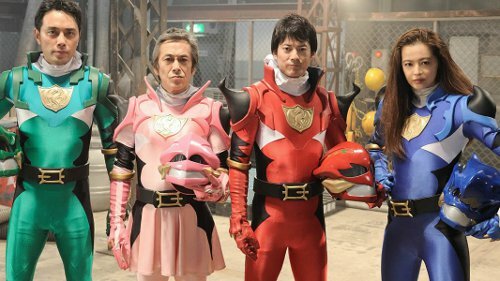 For those of us who grew up watching sentai shows, "Unsung Hero" (better known as "In the Hero" in Japan) would be a good inside look of the man wearing the suit that we tend to forget, and how daunting and unrewarding it can be to be trapped what is often considered the low rung of the Japanese entertainment ladder. While we would have liked to see director Masaharu Take's "100 Yen Love" make it to the festival, but we intend to fully enjoy the sentai references, laugh at the sometimes awkward poses they have to make when taken out of context, and cheer (or shed a tear) for the underdog when he finds the goal he deserves. Since her 60th birthday, Reiko Wakana has become more forgetful than usual but it is never noticed by her husband, Katsuaki, and her sons, Kousuke and Shunpei. When Reiko decides to see a doctor, she and her family are informed that she has brain tumour and about a week left to live. Fearing that her family would scatter after her death, Reiko's personality almost changes overnight with symptoms of Alzheimer's as she starts to speak up her mind to bring her family back together. The next anticipated work by director Yuya Ishii who last made Japan's entry for the 2014 Foreign Oscar category, "The Great Passage" (and also screened at JFF 2013), is adapted by Ishii himself from the novel of Kazumasa Hayami. While it is has only won a Best Supporting Award for Sosuke Ikematsu from the Yokohoma Film Festival, "Our Family" is a dramatic study of the role of the mother and wife as the central pillar in the fragmented and dysfunctional Japanese family that is over-obligated to communicate with each other. This won't be easy on those who have lost their mothers to an ailing disease, so tissues aplenty should be in supply when going for its screening. Kentaro Amanoshizuka is a social misfit with a cushy job in the local city hall even though he has never been promoted for his service in 13 years, let alone had a girlfriend in his 35 years of life. When his parents attend a parental match-making event to meet other parents with potential children to marry, the Amanoshizukas are only met with one prospect, the Imais, who have a daughter that is the owner of a successful company. While the Imais are unimpressed by Kentaro's credentials but arrange a meeting anyway, they also fail to mention that their daughter, Naoko, is blind. This is director Masahide Ichii's third outing as a director, but he has written all of his films, including "Blindly in Love" which he co-wrote with debuting screenwriter Takahiro Tamura. Although Masahide has won awards for his previous works, they were mostly for technical prowess rather than its storytelling. Still, with a premise that has a small twist and an underdog worth rooting for played by Gen Hoshino, the jury is still out if we can give our hearts to this small-time romance. Kaho, who plays as one of the sisters in "Our Little Sister", will take the blind lead role here. Haruo is an orphan who grew up to be a magician with dreams of greatness but has never found any breakthrough in his life. While decrying his misfortune, Haruo is struck by a bolt of lightning and wakes up to find himself sent back 40 years in time where he meets his parents before they were married and had him. If the story doesn't sound odd, then its credentials surely do. Based on the novel written by Hitori Gekidan, "Bolt from the Blue" is adapted, directed and starred by Hitori Gekidan himself (fitting, given the name of its writer/director). 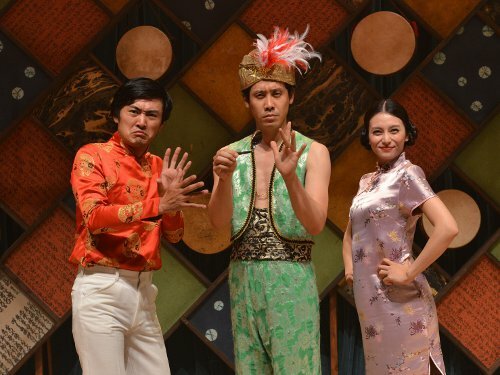 This one-man show is also Hitori's debut as a director and screenwriter, and oddly enough stars Yo Oizumi from "Kakekomi" as the time-traveling magician. While this leads to some "Back to the Future II" plotlines, expect an unexpected dose of drama as Haruo finds out the real circumstances of his birth. After graduating from university in Tokyo, Tamako moves back to Kofu where her single father runs a small sports equipment store. 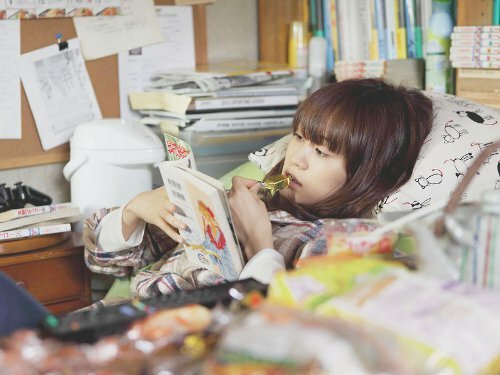 Without any aspirations to find a job, Tamako spends the four seasons eating, gaming, reading mangas and complaining about the dire state of the Japanese economy from her laziness. When she finds out that her father might be seeing somebody, Tamako discreetly joins the accessory-making class run by the suitor to find out more about her. While this may the first time we are seeing a lead shut-in character in this festival, it certainly helps to have former AKB48 lead idol Atsuko Maeda to be the first, to let us see how well she has made the transition from idol to actor. "Tamako in Moratorium" is one of her earliest acting roles and she has already went on to appear in some rather high profile outings since this 2013 work directed by Nobuhiro Yamashita. But there is some weird sense of growth seeing Atsuko drop the glamorous idol uniform and sweet personality for the smelly sweatshirt and cynical attitude. After a failed attempted suicide at sea by their friend Miki, Jinko and Motoko, who have stayed as friends since university, decide to pay Miki a visit to see how she is doing. Haraki, a women who Jinko met at the library, volunteers to be their driver as the women set out on a two-day-one-night roadtrip to see Miki. "Petal Dance" is the third film by writer/director Hiroshi Ishikawa who last made "Sukida" in 2005, ten years ago. This is easily the most aesthetic-driven piece of this year's lineup and therefore will not be accessible to those who need a moving narrative to keep being interested in the exploits of these women. 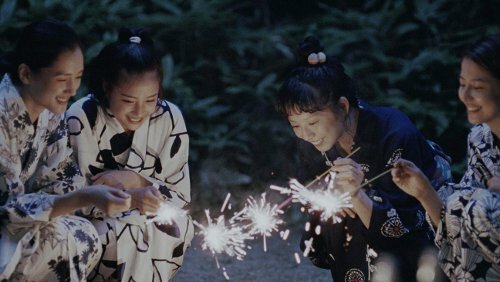 If Ishikawa hasn't changed any of his sensibilities from "Sukida", expect a slow but thoughtful study as these four damaged women reflect on their lives and try to emerge reborn. Aoi Miyazaki who starred in "Sukida" makes her second collaboration with Ishikawa here as well. Ayami Mutoi is the teacher at an elementary school where one of the girls, Yuiko Koto, has the power to manifest her dreams, as well as her nightmares, into reality. While Ayami does everything she can to stop herself from being involved with the psychic girl, her powers has proven to be too strong. Based on the novel by Riku Onda and adapted from the TV series and becoming the feature debut of director Noriyosho Sakuma, "My Little Nightmare" is the most fantastic entry at this year's festival that will have the stuff of nightmares and dreamy princes leaping out from screens for this entertaining romp. With a massive cast, both live-action and animated, "My Little Nightmare" doesn't need any more to entertain, but having a small role played by J-rock legend Gackt would probably draw a more female-inclined audience. Natsumi moves from her small hometown to the big city of Tokyo, to attend a Fine Arts university. Challenged by her lack of talent amongst her more sophisticated peers, Natsumi falls into the arms of Sousuke, a kind lover but also a goof who lives off Natsumi paying for their living expenses. To make a living, Natsumi takes a job at a bar, which puts a strain on her creative and love life. Based on the manga "Joukyou Monogatari" by Rieko Saibara, this not-as-bleak-as-it-sounds drama is a sincere account of someone who can't keep up with the pace of big city life and having their creative talents tested when a smaller fish goes to the bigger ocean. Kie Kitano, who was last seen in the shot-in-Malaysia "Ken & Mary" in JFF 2013 stars as the struggling artist, alongside Sosuke Ikematsu from "Our Family" as Sousuke. 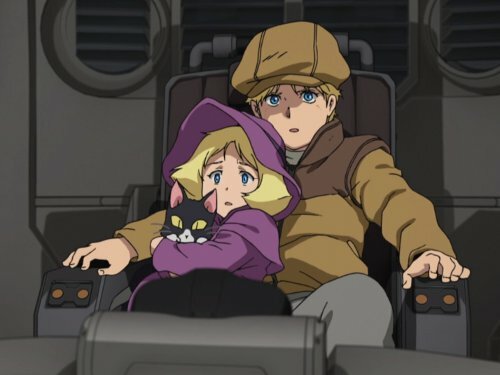 Adapted from the famed manga retelling of the original Gundam series that ran in 2001, "Mobile Suit Gundam The Origin: Blue-Eyed Casval" is the first in a four-part theatrical series that begins its story on Casval Deikun, who would came to be known as the infamous Char Aznable, and his sister Artesia. This is a must-watch as any for Gundam fans, who want to see their favourite mechas duking it out in one of the most epic space wars, or go back to explore the Gundam universe in a time when tensions were more fraught with political backstabs and fascist overtones, that would mold one of the most tragic yet endearing villains of the Gundam universe. Maybe a good reception of this will signal distributors to bring the rest of the series as it is released in Japan. The second part of the retelling of the Initial D series in a new feature length trilogy, "Initial D: The Movie Legend 2" moves on to the next stage when Takumi has to face off with incumbents from the NightKids team who come to take over as king of his homeground; Mt. Akina. 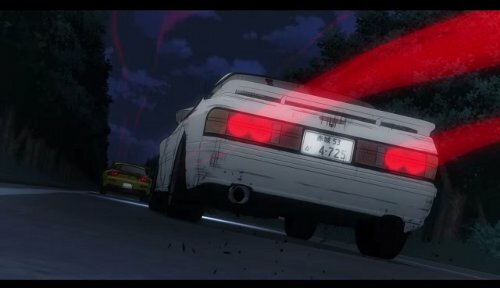 Fans of the Initial D (which likely includes every drifter in KL) series have already been teased with the screening of its first part in the last JFF, so it makes complete sense to continue the next installment in this year's festival, and hopefully the JFF organisers would have the good sense to bring the concluding episode in the next JFF. After being separated from his parents, Toron the baby tyrannosaurus goes on an adventure to reunite with them, meeting new friends while learning about true strength, courage and love. Based on the top-selling children's book by Tatsuya Miyanishi, there was some doubt if this sequel would ever be made after its predecessor was released in 2010 in its native Japan, but it had somehow managed to get a good word-of-mouth in neighbouring Korea that a production company had bought the rights for it to produce the sequel. 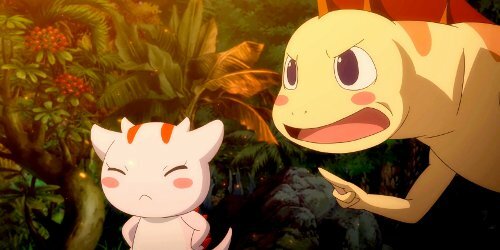 This makes "The Adventures of Tyrano Boy" (also known as "You are Umasou 2" according to its native title) one of the rare animations made with a Korean animation studio doing the heavy lifting, while the pre-production work of story, character and continuity are supervised by its Japanese holders. Although this was made mainly with a child audience in mind, don't underestimate this family-friendly Jurassic adventure effect on adults. So be sure to bring in a few tissues just in case.